CCDC Secretary David Rhoads, Executive Committee Member Jim Salvas, Vice Chair Lani Frank, Chair Brian J. McGinnis, Treasurer Lisa Longo. WEST CHESTER — For decades, the Chester County Democratic Committee longed to buy a permanent home — and now they don’t even have to pack up to get it done. 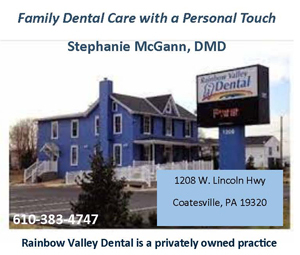 The county committee announced Saturday that it had reached agreement to purchase its long-time 37 S. High Street Headquarters. 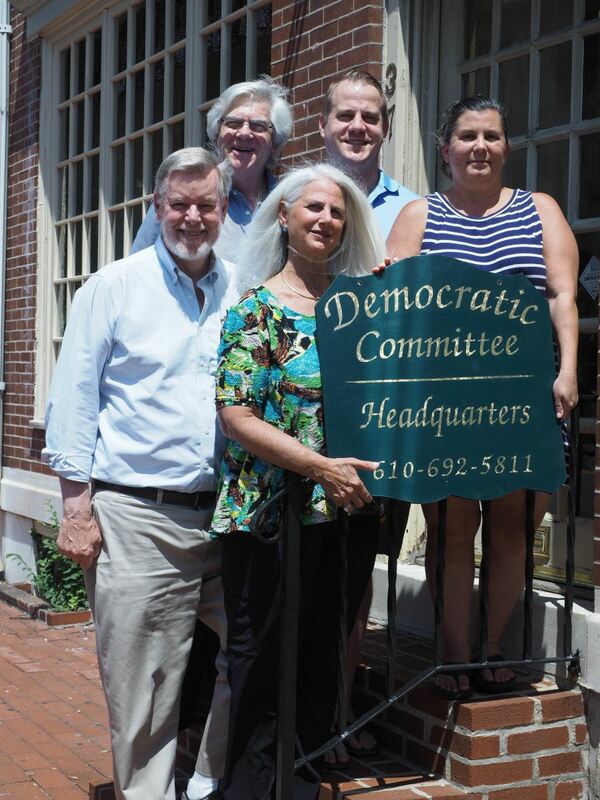 After years of renting the space on High Street, Chester County Dems are finally homeowners. And, party officials say, the timing could not be more ideal as Chester County is home to one of the most active and rapidly growing Democratic organizations in Pennsylvania. Philanthropist and 37 S. High Street owner Vivian Lasko turned over the keys to the historical building, built in 1893, at settlement on July 27. 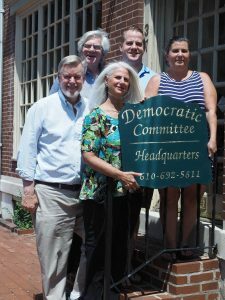 For the last 16 years, Chester County Democratic Committee (CCDC) ran its headquarters out of the building with approximately 800 SF of first floor office space. Lasko, widow to long-time West Chester businessman Oscar Lasko who died at age 96 earlier this year, recently put the building on the market, allowing the CCDC a right of first offer. The CCDC, riding high on changing demographics and an increase in voter turnout, decided to put down roots this year, in anticipation of the November 2017 local elections and next year’s national and statewide races. McGinnis notes that ballots in county and local elections are brimming with Democratic candidates, many for the very first time. “Don’t underestimate the importance of local elections such as school board directors (ensuring that our school districts are solvent and promoting public education) and township supervisors (keeping our townships and boroughs safe places to live and raise a family),” wrote McGinnis earlier this month to his membership. Election Day 2017 is Tuesday, November 7. There is good reason for optimism in the suburbs for Democrats, McGinnis said.